Looky at what I did alittle bargaining for. 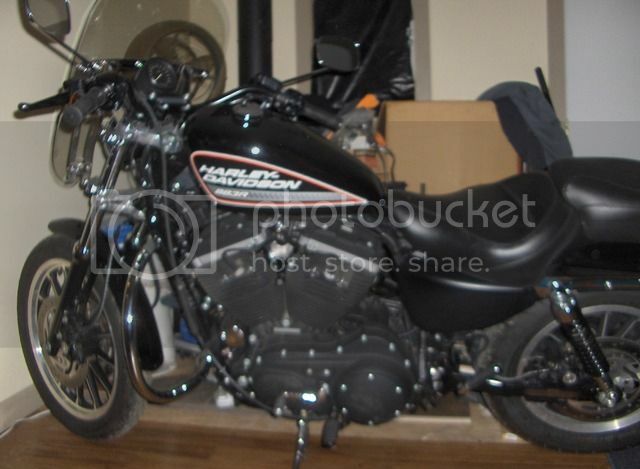 A 2005 Harley Davidson Sportster 883R. I've always loved the look of these, but of course could never afford one. But did alittle horse trading and was able to get her. Now I just have to get use to riding again so I don't kill myself. Mad max looking. Sweet bike rusty!